Child Safety is KidKusion’s specialty. The Hearth Cushion and Gummi Crib rail Cover are well known popular products that are often recommended from one parent to another. The original and the best, parents look to KidKusion for it’s quality and easy to use products. KidKusion provides several sizes and thickness of foam products that are available in off white, brown and black to work with every decor. Corner Cushions can be applied to any table in the path of your child and Edge Cushions can be applied to wall corners, tables and anywhere else that you might need to cover. Baby Proofing your home is one of the most important things that you will do while your child is young. While learning how to explore the world around them, your baby will unavoidably take a few spills and KidKusion foam cushions will be there to protect your little one. KidKusion has offered innovative child safety products since 1991. The company was started out of a necessity to protect the founders young son from the raised fireplace hearth in the home. The original Fireplace Bumper Pad is still sold today. KidKusion has expanded since then to add many more innovative child safety products to keep your babies safe. Every item is developed and tested by moms and dads just like you. From indoor safety to outdoor safety, KidKusion has you covered. The Retractable Driveway Guard creates a visual barrier between your child and neighborhood traffic. A definite must in busy neighborhoods. The bright orange net stretches across your driveway and retracts back into it’s canister for easy storage. Do you need to block access to your neighbor’s house or that vegetable garden? Use the Play Safe Fence to easily define outdoor play spaces. These quality outdoor fence panels can be configured to almost any shape or size. 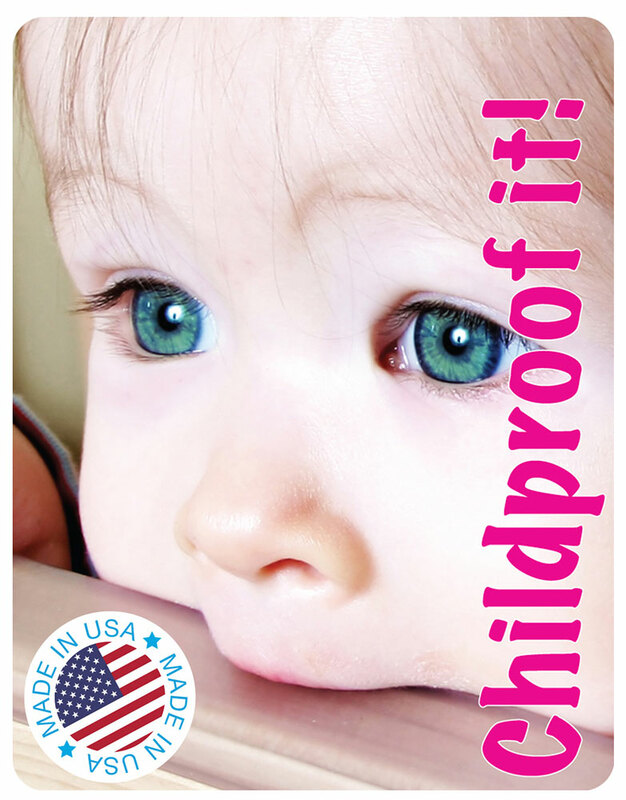 KidKusion is a leader in innovative child safety and still manufactures most of it’s products right here in the USA!